Ducati have been having a tough few seasons in MotoGP, something that was very much in evidence especially when nine-time world champion Valentino Rossi decided to throw in the towel and head back to Yamaha after two dismal seasons with the Italian team. And that is also why more than just a few eyebrows were raised when Cal Crutchlow decided to join the team for the 2014 season. The results haven't proved to be very good - of the eight races he's competed in with Ducati, he's had a best finish of 6th place at the season-opening race at Qatar, and has retired from four races. 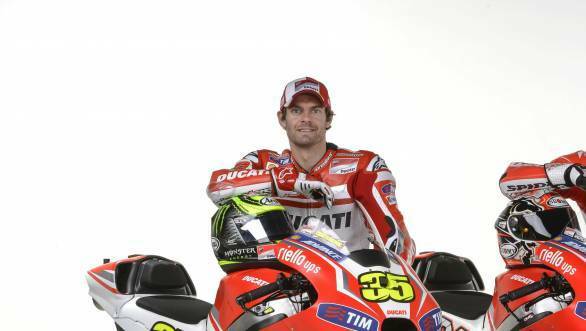 Which brings us to this - does it surprise us that Crutchlow wanted out of Ducati? No. It doesn't. The Italian squad has announced that they have agreed to terminate the British rider's contract a year ahead of schedule and have also announced that Andrea Iannone will graduate from their satellite Pramac team to partner Andrea Dovizioso for 2015. Soon after Ducati made their announcement, the LCR Honda team issued a release saying that Crutchlow was headed their way next year. He will join the Lucio Cecchinello squad for the 2015 MotoGP season, with Cecchinello stating "We want to thank Cal for his trust in our 2015 racing project." This leaves a question mark over the future of Stefan Bradl, who currently is the lone rider for LCR Honda. Whether the team will run two bikes in 2015, or whether this is the end of the road for Bradl and LCR Honda hasn't yet been confirmed.